Gold Key Scholarships are awarded to full-time freshmen to recognize and encourage outstanding academic and personal achievement. The total scholarship award is $9,000. Recipients are awarded $4,500 each year for two academic years to use toward tuition, fees and books. Applicants for the Gold Key Scholarships must be recent high school graduates entering KCC as full-time freshmen with a cumulative high school GPA of 3.5 or higher and an ACT score of 22 or higher. They must also demonstrate leadership experience, community and service activity and involvement in school activities. Jakob Bishop, of Battle Creek, is a senior at Harper Creek High School. Bishop, who is a dual-enrollee at KCC, has a 3.71 GPA and is pursuing general studies at KCC with a concentration in counseling/social work. He was awarded the Leonard W. and Dorothy C. Dott Gold Key Scholarship. Joseph Book, of Richland, is a Book Academy Home School student. Book, who is a dual-enrollee at KCC, has a 3.90 GPA and is pursuing general studies at KCC with a concentration in history/political science. He was awarded the Arthur J. and Lucille B. Finley Gold Key Scholarship. Emily Brenner, of Battle Creek, is a senior at Gull Lake High School. Brenner has a 3.91 GPA and plans to pursue general studies at KCC with a concentration in international studies. She was awarded the Mildred E. Hoover Gold Key Scholarship. Erica Donihue, of Union City, is a senior at Union City High School. Donihue, a dual-enrollee at KCC and Glen Oaks Community College, has a 3.89 GPA and is pursuing general studies at KCC, with a concentration in religious studies. She was awarded the Mildred E. Hoover Gold Key Scholarship. Bradley Gardner, of Quincy, is a senior at Quincy High School. Gardner has a 3.75 GPA and plans to pursue general studies at KCC with a concentration in computer science. He was awarded the Robert L. and Lois H. Brenner Gold Key Scholarship. Austin Gonser, of Vermontville, is a 2014 graduate of Maple Valley High School. Gonser, a current KCC student, has a 3.72 GPA and is pursuing general studies at KCC. He was awarded the Ethel Groos Gold Key Scholarship. Hamza Haque, of Pakistan, currently lives in Battle Creek and is a graduate of City School PAF Chapter – Cambridge International. A current KCC student, Haque is pursuing general studies at KCC with a concentration in materials science/engineering. He was awarded the Hugh McPherson Gold Key Scholarship. Brandon Hass, of Wyoming, is a senior at Grandville High School. Hass has a 3.89 GPA and plans to pursue general studies at KCC with a concentration in special education. He was awarded the Lela M. Karcher Gold Key Scholarship. Baylee Hayes, of Springfield, is a senior at Harper Creek High School. Hayes has a 3.91 GPA and plans to pursue general studies at KCC with a concentration in special education. She was awarded the Virginia M. Hensley Gold Key Scholarship. Conner Henderson, of Scotts, is a senior at Vicksburg High School. Henderson has a 3.87 GPA and plans to pursue general studies at KCC. He was awarded the Robert L. and Lois H. Brenner Gold Key Scholarship. Weston Herman, of Ceresco, is a senior at Marshall High School. Herman has a 3.57 GPA and plans to pursue general studies at KCC with a concentration in forensic science. He was awarded the Franke Family Gold Key Scholarship. Adrian Hibbard, of East Leroy, is a senior at St. Philip Catholic Central High School/Calhoun Area Career Center. Hibbard has a 3.70 GPA and plans to pursue general studies at KCC with a concentration in special education. She was awarded the Elizabeth H. Binda Gold Key Scholarship. April Pelfrey, of Kalamazoo, attends Pelfrey Home School. 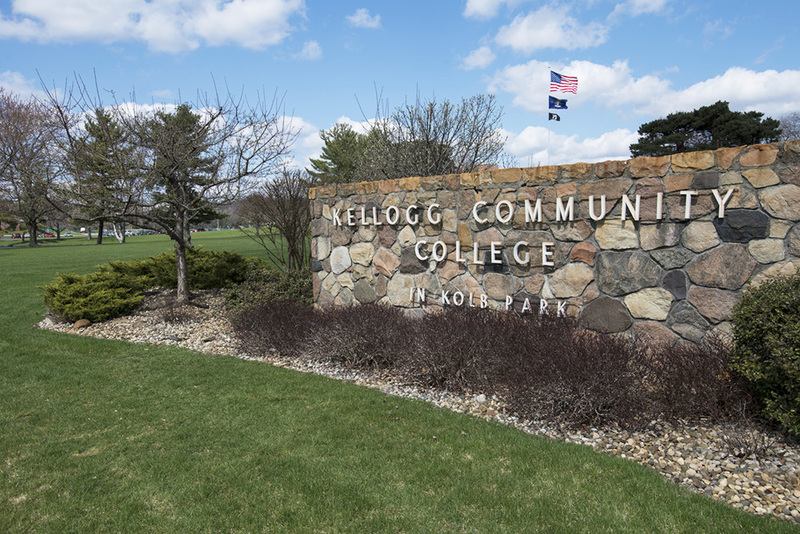 A dual-enrollee at Kalamazoo Valley Community College, Pelfrey plans to join the Physical Therapist Assistant Program at KCC. She was awarded the Edward P. and Kathryn M Bellas Gold Key Scholarship. Brooke Roberts, of Battle Creek, is a senior at Harper Creek High School/Battle Creek Area Math and Science Center. Roberts has a 4.04 GPA and plans to pursue general studies at KCC with a concentration in engineering. She was awarded the Melvin H., Doris A. and Fovette E. Dush Gold Key Scholarship. Jacob Warren, of Battle Creek, is a senior at Harper Creek High School. Warren has a 3.5 GPA and plans to pursue general studies at KCC with a concentration in chiropractic science. He was awarded the Bertha M. Smith Gold Key Scholarship.